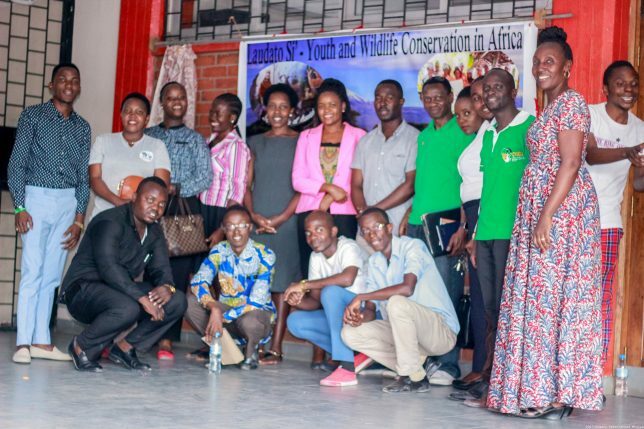 ‘Young people engaging in wildlife conservation today for a better tomorrow’, was the rallying call at a workshop that CYNESA hosted for students of Loyola High School in Dar es Salaam, Tanzania. The workshop’s main aim was to facilitate interaction with the youth on their role in wildlife conservation in Africa. The event which took place on October 6th, also observed the Feast Day of St. Francis of Assisi, patron saint of ecology, whose actual feast day is October 4th. In his opening remarks CYNESA Tanzania Country Director, Mr. Dessydery Mosses, challenged the youth to seize opportunities for participation in conservation activities, such as the CYNESA project on ‘Laudato Si’: Youth and Wildlife Conservation in Africa’. 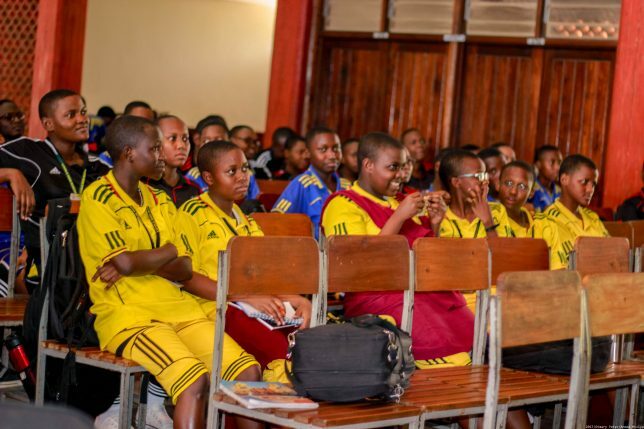 The project, is being implemented through a partnership with the Humane Society International, and was officially launched at the Dar es Salaam workshop. Mrs Farijo Lupaya, the CYNESA Loyola mentor and the CYNESA Tanzania team, played a key role in the successful organization of the workshop. 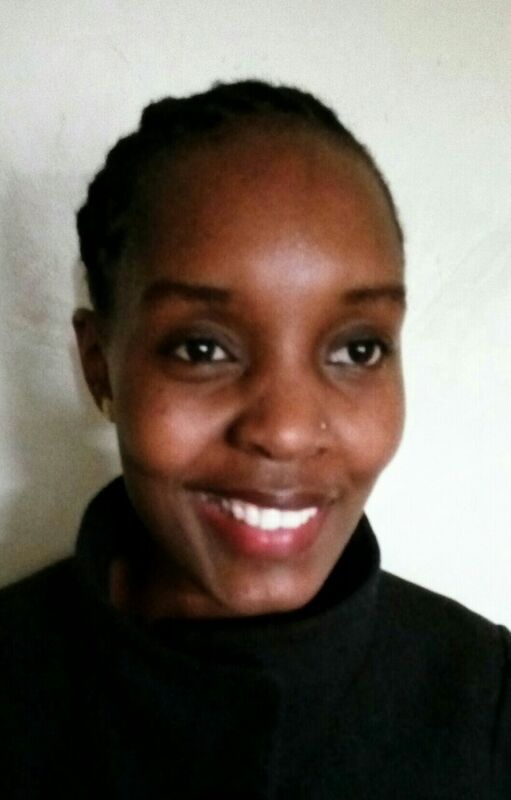 CYNESA board member, Ms. Hellen Mugo explained to the audience how critical to CYNESA’s mission the project is, as it cuts across the main areas of the network’s activities, namely formation, networking and advocacy, and local action planning. The Provincial Delegate Superior of the Camillian Missionaries in Tanzania, Fr. Shukrani Mbirigenda, offered faith perspectives on wildlife conservation in Africa, with particular reference to the encyclical Laudato Si’. He motivated the participants to play a part in conservation right from their homes and communities, since Africans have a long tradition of environmental conservation. CYNESA Tanzania Country Director Dessydery Mosses (right) presents a copy of Laudato Si to the Guest Speaker Eng. Pamela Maassay, Member of Parliament at the East Africa Legislative Assembly. The guest speaker at the workshop Eng. Pamela Maassay, Member of Parliament at the East Africa Legislative Assembly, urged participants to participate in and even set up conservation initiatives for the protection of the environment. Ms. Maassay promised to actively advocate for wildlife conservation as a law maker in the regional assembly. Crowning off the program, was a lively interactive segment, facilitated by the dynamic duo of CYNESA Tanzania core team members, Eliaichi Manga and Chihema Mhando. They engaged the audience in a question and answer session on wild animals- their unique characteristics, their perception by human beings and their role in maintaining ecological balance. The Loyola High audience did not disappoint, and gave interesting and informative presentations about wildlife, including poems, drawings and spoken word, confirming their high level of understanding of wildlife matters, especially in Tanzania. Their commitment to wildlife conservation and protection of endangered species was not in doubt. Speaking on the link between Wildlife Conservation and the Sustainable Development Goals, Mr. Shubert Mwarabu, the Elephant Ambassador at the African Elephant Coalition, challenged the participants to start their individual conservation journey right from where they are. Loyola students who made presentations received Laudato Si’ branded wristbands, as a reminder of their role in caring for our common home. 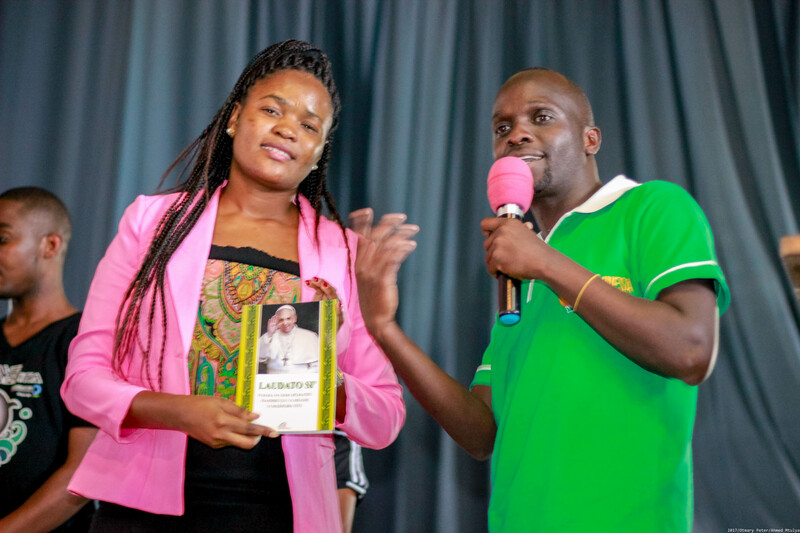 Copies of the encyclical Laudato Si’ were presented to the speakers, as well to CYNESA Loyola, in appreciation for their enlightening input, with Dessydery inviting them to read, practice and share the knowledge they gain from the encyclical.